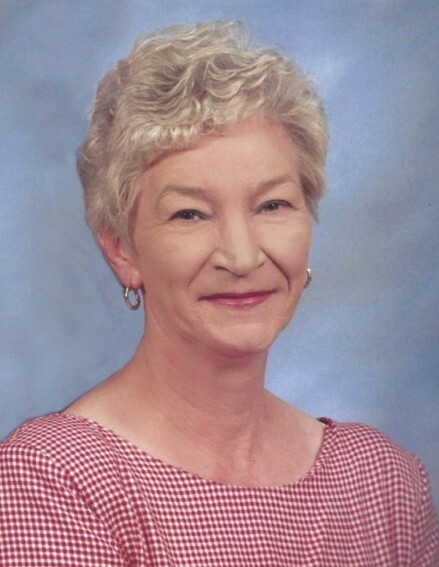 Florence, SC – Ruth Batchelor Carter, 75, formerly of Timmonsville, passed away on Tuesday, Jan. 22, 2019. Funeral services will be Friday, Jan. 25, 2019 at 1:00 p.m. at Lake Swamp Baptist Church. Burial will follow in the church cemetery. The family will have a time of visitation from 6:00 to 8:00 p.m. at Layton-Anderson Funeral Home, Thursday, Jan. 24, 2019. Ruth was born in Whiteville, NC, the daughter of the late Walter C and Mary Hewitt Batchelor.She was an Administrative Assistant with the former O’Brian-Mace Co. and Applied Industrial Technologies of Florence. Ruth was a member of Lake Swamp Baptist Church. She was married to the late Woodrow J. “Buck” Carter, Jr. Surviving are a son, Woodrow “Woody” J. Carter, III; two daughters, Melissa “Missy” (John) Barrera, Joy (Jeff) Kelly; brother, Johnny (Nancy) Batchelor; sister, Betty (Jerry) Greer Ayers, sister-in-law, Bonnie Batchelor; grandchildren, Mallory and Madelyn Parsons, Zachary and Jacob Kelly, J.W. and Ally Barrera. She is preceded in death by brothers, Thurston, Thurman, Jerry and Julian Batchelor. Memorials may be made to Lake Swamp Baptist Church Bldg. Fund, 6558 Oates Hwy, Timmonsville, SC 29161. Layton-Anderson Funeral Home, 4210 W. Palmetto Street, Florence, SC 29501.